Coasteering is a unique combination of climbing, scrambling, traversing, cliff jumping and swimming. Our qualified and experienced local guides will accompany you through every part of your adventure starting with a full safety briefing and instruction on technique. Whatever your age or ability, if you have an adventurous nature and love the rugged beauty of the Cornish coastline then Coasteering with Coastal Rush is for you. 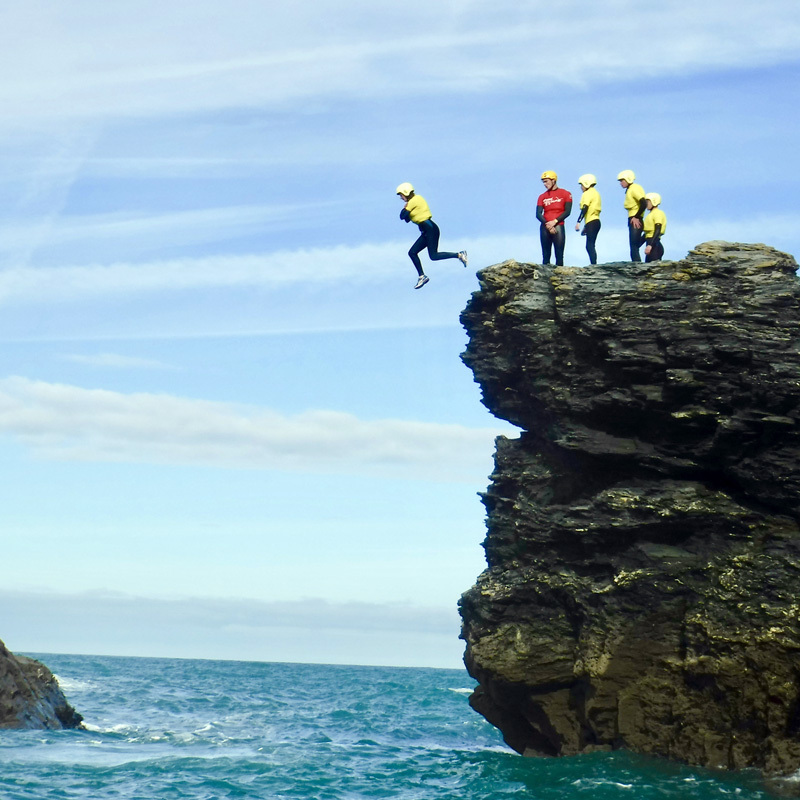 Experience Cornwall’s famously spectacular coastline with a tailor made Coasteering adventure. It’s is an experience of a lifetime that will inspire and amaze you in equal measure. Sessions include all equipment, insurance and instruction. Our extensive knowledge will ensure that you experience the Cornish coastline in a way that very few others are able to do. Coasteering sessions take place in the morning or afternoon depending on the tides and the only requirements are that all participants can swim at least 25 metres and that you have a pair of old trainers or beach shoes to wear. We take care of everything else.